OWC Tested. Quality You Can Trust. OWC individually inspects and fully tests every pre-owned computer to confirm full functionality and accurate grading. All refurbishments and/or upgrades are performed by our Apple Certified Technicians. That's why OWC is the most trusted name in Mac refurbishments. Experience huge savings on Mac Pro! 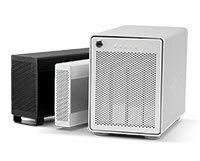 Any iteration of Mac Pro is a highly productive workhorse, and when purchased through MacSales.com, you can count on all the horsepower at a fraction of the price of buying new. This Mac Pro offers the ultimate in expansion ease and upgradability with trouble-free access to four drive bays, memory, two optical drive bays and PCI Express card expansion. Add this Mac Pro powerhouse to your workflow at dramatic savings! Talk about oomph. This baby has some power and then some. More processor cores equals more tasks and projects you can do at once. And with a Turbo Boost up to 3.06, you will definitely have enough power for years to come without feeling like your processors are holding you back. This Mac Pro is champing at the bit to get to work. With 8GB of memory you can multi-task with efficiency and experience less lag time with launching and saving applications. 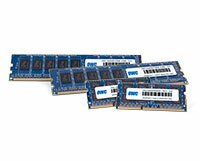 If you need more memory, you can expand to 48.0 GB with this model Mac Pro. This machine comes with a 1.0TB 7,200RPM hard drive, which is a great starting point for any machine. 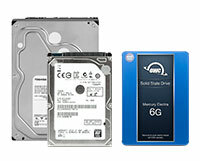 A hard drive is a great economical way to add and store tons of data to archive or work from. With three extra hard drive bays you can add more drives anytime you need to. One Dual-Link DVI, one DisplayPort, one HDMI, and one VGA ports, you can connect up to three 30-inch Apple monitors with resolutions up to 2560 x 1600. This dedicated video powerhouse can display not only a tremendous amount of workspace on the displays, but has enough power for some heavy video crunching be it gaming, 3D, video editing, or more. Optical drives? Yup. People still use these to create movies, economically store archived works, and more! This Apple SuperDrive is at the ready should any DVD or CD optical storage need arise. And this Mac Pro comes with a second optical drive bay as well so you can add Blu-ray capabilities, or another optical drive for disc-to-disc burning and duping. This Mac Pro, in addition to the two RJ-45 ports that support 10/100/1000BASE-Tnetworks, also has a Bluetooth 2.1 + EDR and 802.11a/b/g/n Wi-Fi card installed. So you're covered for all your wired and wireless connection needs. This Mac supports operating system version 10.6.4 through Current. *While researched thoroughly via independent resources, OWC does not make any claim to accuracy or completeness of these specifications. AirMac®,	AirPlay®,	AirPort®,	AirPort Express®,	AirPort Extreme®,	AirTunes®,	A.Pack®,	Aperture®,	Apple®,	AppleCAT®,	AppleCD SC®,	Apple Cinema Display®,	AppleScript®,	AppleScript Studio®,	AppleShare®,	AppleTalk®,	Apple TV®,	AppleWorks®,	Aqua®,	Back to My Mac®,	Bonjour®,	Boot Camp®,	Carbon®,	Claris®,	Cocoa®,	Cocoa Touch®,	ColorSync®,	Cover Flow®,	Dashcode®,	DVD Studio Pro®,	EdView®,	Web portal eMac®,	Encyclomedia®,	EtherTalk®,	Exposé®,	FaceTime®,	FairPlay®,	FileVault®,	Final Cut®,	Final Cut Pro®,	Final Cut Studio®,	Finder®,	FireWire®,	FireWire symbol®,	FontSync®,	GarageBand®,	HyperCard®,	HyperTalk®,	iBook®,	iBooks®,	iCal®,	iChat®,	iDVD®,	iLife®,	iMac®,	ImageWriter®,	iMovie®,	Inkwell®,	Instruments®,	Inter·Poll®,	iPad®,	iPhone®,	iPhoto®,	iPod®,	iPod classic®,	iPod Hi-Fi®,	iPod nano®,	iPod shuffle®,	iPod Socks®,	iPod touch®,	iSight®,	iTunes®,	iTunes Logo®,	iTunes Pass®,	iWork®,	Jam Pack®,	Keychain®,	Keynote®,	Leopard®,	LiveType®,	LocalTalk®,	Logic®,	Logic Studio®,	Mac®,	Mac logo®,	MacApp®,	MacBook®,	MacBook Air®,	MacDNS®,	Macintosh®,	Mac OS®,	Mac Pro®,	MacTCP®,	MagSafe®,	MainStage®,	MPW®,	Numbers®,	Objective-C®,	OpenPlay®,	OS X®,	Pages®,	Panther®,	Photo Booth®,	Pixlet®,	Podcast Logo®,	PowerBook®,	Power Mac®,	Quartz®,	QuickDraw®,	QuickTime®,	QuickTime logo®,	Rosetta®,	SADE®,	Safari®,	Shake®,	Sherlock®,	Snow Leopard®,	Soundtrack®,	Spaces®,	Spotlight®,	SuperDrive®,	Think different®,	Tiger®,	Time Capsule®,	Time Machine®,	TrueType®,	Tubes®,	Ultrabeat®,	Velocity Engine®,	WaveBurner®,	WebObjects®,	Works with iPhone logo®,	Xcode®,	Xgrid®,	Xsan®,	and Xserve®	are trademarks of Apple Inc., registered in the U.S. and other countries. AirDrop™, AirPrint™, Apple IIGS™,	AppleLink™, Apple Media Series™, Apple Remote Desktop™,	Apple Studio Display™,	Apple TechStep™,	AppleVision™, Cinema Tools™, DVD@CCESS™, Enterprise Objects™,	Enterprise Objects Framework™, Extensions Manager™,	FireWire logo™,	iWeb™, LaserWriter™, Launchpad™,	MacPAD™, MacTest™,	Made for iPad logo™,	Made for iPhone logo™,	Mission Control™, Multi-Touch™,	NetInfo™, Newton™, OfflineRT™,	OpenCL™, Photocasting™, ProDOS™,	QuickTime Broadcaster™, QuickTime TV™, Retina™,	Shuffle™,	Siri™, Skia™, SnapBack™, StyleWriter™, and WebScript™	are a trademarks of Apple Inc.
Intel, Intel Core, and Xeon are trademarks of Intel Corporation in the U.S. and/or other countries. These units have some stories to tell. While they may have scratches and/or dents, bent handles / feet (not affecting case stability), they are fully tested and 100% operational. Images shown are examples from actual units but exact unit condition will vary. The best warranty is one you never have to use - but should the need occur - we're proud to provide a superior level of support and service coverage to our customers. Other World Computing (OWC) fully inspects and tests each pre-owned Mac for the full functionality as listed and offers a limited parts and labor warranty to the original purchaser that this Mac Pro will be free from defects in material and workmanship for a period of 90 days from the original date of purchase. If you change your mind or determine this isn't the right Apple for you, you may contact OWC within 14 days of the original invoice date to request a return of this item for refund. Please note when returning an Apple new or refurbished factory-sealed Mac under this policy, the Apple packaging must remain unopened / sealed. See the full Return Policy for Used Macs and Factory Sealed Systems for more details. Rating: 5/5 ...very pleased November 8, 2018 Ordered a MP and the information provided, value and order sequence was excellent. The physical condition was better than anticipated. After placing many orders in the past with OWC, I've grown to expect no less. Kudos and thanks. Rating: 4/5 Faster than fast! November 7, 2018 The used MacPro is just as clean as a new one, but much, much less expensive. I've been trying to wear it out (just kidding) since it arrived, but it shows no sign of giving up. Capable of handling High Sierra and newer versions of much of my software, I can't understand why I didn't buy it sooner. The only problem is a noisy fan. For days, I thought my ceiling fan was nearing its end, then I found it was the computer. It's a small worry compared to many I can think of. And I really love dealing with the OWC folks. They and their their products are excellent. Rating: 5/5 Apple Mac Pro (2010) 2.93GHz 6-core Xeon X5670 October 16, 2018 This is a great machine that allows me to upgrade to OS High Sierra, do all the stuff any 80 year old wants to do on a computer, and keep current with/schedule 30 other adult tennis players 3X a week. Thanks for your help getting my newer 5,1 up and running. Rating: 5/5 Very good quality June 6, 2018 This machine has very little scratches and is in very good condition. Being used one would expect more dents and dings but no, it is almost perfect. Rating: 5/5 Purchased a used MacPro 2010-2012 April 6, 2018 I have been a customer of OWC since 2002 and based on my previous experiences with OWC, I decided to buy a used MacPro from OWC. Here is the bottom line: My interactions with OWC sales personnel has been informative and productive. The computer arrived in excellent condition and it operates flawlessly. Rating: 5/5 The product worked great, excellent condition March 6, 2018 The unit was in better than expected condition and worked great. It was exactly what was defined in the description. I also purchased a keyboard and mouse set which was also a great deal, and a 50Gb drive. I have no issues with any of my purchases. I will be shopping here again for my future Mac needs. I would also like to thank MacSales for caring about the planet. Thank You for investing the time, money, and effort to save our environment. Note: I already own a Mac exactly the same. Rating: 5/5 Great upgrade for my old Mac Pro! February 28, 2018 Everything exactly as advertised! Upgraded from an early 2009 Mac Pro. No more spinning beach balls! My experience, over many years with MacSales, has always been extremely positive. This company has their act together! Rating: 5/5 Like a new old mac pro February 2, 2018 Works great for me. Much faster than my old mac pro. I was able to upgrade by switching two drives from the old to the new. Better video card. Very clean inside. Very satisfied with purchase. 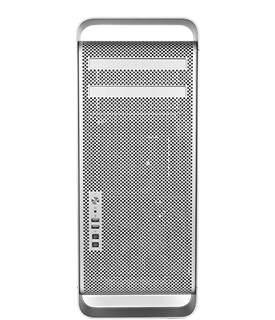 Rating: 5/5 Great machine November 13, 2017 I was fearful of getting another refurb to replace the refurb iMac I got from Apple 5 years back but those fears were allied when I got this new 5,1 cheesegrater. Booted right up and is fairly quiet - can hear the fans when the room is quiet but even then they're not all that loud. My cat meows louder than those fans! It came with Sierra on it and was easy to backdate to Yosemite 10.10.5 because all the audio software I use isn't ready for Sierra. I really love how I can update things in this machine h/w wise unlike my old iMac. Have several upgrades in the planning like replacing the system drive with an ssd and adding other drives inside. There are a couple of small scrapes and a small divot in the case but nothing I can't live with. Overall for a machine that has been around since at least 2012 and seen use I can't complain about the quality. When OWC gives an estimate/description of the quality you can trust them on that. Rating: 5/5 Good price for a VM Server August 28, 2017 Always been happy with Mac Pro. Not so much the price. But with OWC buying the used 12 core is a good investment. Not thrilled that I could not use the 32GB with the 64 GB I bought additional. So now have 32GB not able to use anywhere else. Anyone want it? Rating: 5/5 A great computer with a lot of possibilities August 20, 2017 So far, so good, works fine - all as specified. Rating: 5/5 I had one of these when new. Better now. August 13, 2017 This is a fantastic computer, They never should have discontinued them. Their little toy they call a Mac Pro now didn't make it. Enormous room for upgrades. Quiet, not hot, powerful. Rating: 5/5 Works July 31, 2017 Although it shipped with OS Lion which added difficulty in transferring date it works. It took me awhile to figure out an update to Sierra it now works and can be updated. Rating: 5/5 Nice upgrade July 10, 2017 I bought this to replace a 4-core Mac Pro from 2009. I've only had it for a few weeks so far, but it's definitely faster and I'm quite happy with it. I did upgrade it from 8-GB to 48-GB of memory, which probably helps a lot! (especially since I run multiple virtual machines on this Mac). I considered this a much more cost-effective upgrade than buying the most recent models of Mac Pro. 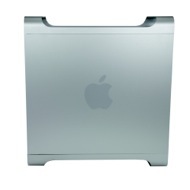 I was a little surprised this is listed as a "Mac Pro (Mid 2010)". I had the impression that there weren't any 3.33 GHz 6-Core Intel Xeon Mac Pro's until 2012! Rating: 5/5 This product has great features June 24, 2017 I used this servise twice and both times was succesfull. Thank you for quality, service and support. Rating: 5/5 Like New! Very Fast! February 4, 2017 The 2012 Mac Pro works and functions liked promised. Specs are what I ordered. For a used machine the body is extremely clean. Looks new! This is a very fast machine, just love it! No more spinning wheels!!!! Packaging was very solid for delivery! Rating: 5/5 The new Mothership January 19, 2017 My MacPro1,1 was getting long in tooth and beginning to have PMU issues, and I needed that form factor for the expandability and legacy ports, so having ordered many parts from Other World Computing (MacSales) in the past, I ventured into the Refurb area and ordered a Mac Pro 5,1. Though it was the holidays, and processing was due to take 10 days, I received the Mac Pro in only 2! (my living in Chicagoland probably helped). I did notice, to my expectation, that the casing had be “previously loved”, but I wanted what was inside. Installed a 2TB SSD for the boot drive, transferred the three remaining drives and video card from the old machine, hooked the RAID-5 (Elite Pro Qx2 from you guys as well) through eSATA, and it fired right up - OS X 10.12.2 Sierra installed right away and migration was a snap. I was fully operational in 2 hours. Very well done! One further note: I delayed this review as I wanted to give it a workout in the warranty period, so I left it on for 3 weeks running a few things. Flawless - it’s now my home’s new Mother Ship. This one came with an SSD so I didn’t need to add much to make it fly like the other one. She is amazed at the difference in performance from her old 6 GB iMac. I added a couple of HGST internal disks to replace the two external ones we used for backup: one uses CCC and the other uses Time Machine. Like the other used Pro I bought, this one was easy to setup (add disks) and very, very fast. Did I mention the free shipping? I would recommend this item to a friend! This review is from Apple Mac Pro (2010) 3.2GHz 4-core Xeon W3565 - Used, Good condition. Rating: 5/5 Used Mac Pro = Like new and a real screamer! July 15, 2016 I needed more power than I could get from my maxed out MacBookPro but didn't have the money to spend on a new machine with the power I wanted. The used MacPro I bought a month ago from OWC is an outstanding choice! I got a quad-core zeon @ 3.2-ghz with 32-gb RAM and a 1-TB SSD. I am running three 27" monitors and my workflow has probably doubled. As a small biz owner I can't begin to put a price on that improvement. 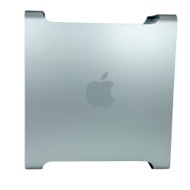 Besides the price advantage, I love the expandability of the older 2010-2012 big aluminum case. I added a USB-3 card and a 2-TB SSHD as a second drive. Although they advertised the computer as "good condition" it looked almost new to me. Runs perfect. And things like rendering a video that used to take a couple hours now flies by in about 10% of the time it took before. 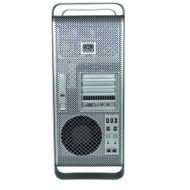 In a word... a used MacPro in perfect condition at a fraction of the new price is a huge bargain. Rating: 5/5 Low Cost Replacement July 11, 2016 When my Mac Pro desktop developed a hardware problem, the simplest solution for me was a used on into which I added the four hard drives, updated video processors and ram from the defective chassis. Being state of the art is not important. The used unit from OWC worked perfectly and the processor was a step better than what I had, so I actually marched ahead a little but within the range of all the software I am using. The unit was in excellent shape cosmetically as well. It got me going quickly and at a low cost. I am glass OWC offered these sorts of deals! I would recommend this item to a friend! This review is from Apple Mac Pro (2010) 2.8GHz 4-core Xeon W3530 - Used, Good condition. With the SSD and 32 MB memory, it’s very, very fast. At the end are the other items I bought to install on the Mac Pro. I have separate reviews for each. I added two new HDDs to take the place of the external backup drives we now use (one for CCC and one for Time Machine) and a PCI card for attaching the USB3 external offsite backup drive. The multi-mount let me put the SSD in the lower “CDROM” tray which allowed me to use all four bays for HDDs. I had two other older drives which I am using as a level 1 RAID. SoftRAID is very handy for setting up RAIDs and it lets me “validate” drives beforehand and monitor them afterwards, even if they are not part of a RAID. Interestingly, a RAID 0 approaches SDD-3G speeds. If you want to use four drives and create two RAID1s, you can combine them into a RAID0 and get both speed and redundancy. I used Black Magic to check the various disk speeds — USB 3 was third behind the SSD and RAID 0. The Pro also has two ethernet ports, which can act as a “switch” for another device (ethernet port sharing). This was handy when transferring files from the original iMac. Cosmetically, it looks pretty good — a few rubs on the edges is all. The only downside might be the 3GB/s SATA speed limitation. If I was buying this for what Mac Pro users usually buy one, it might not perform at the highest levels. But for an iMac replacement, it’s wonderful. LG 23.5" Widescreen LED Monitor. Rating: 5/5 Product was as advertised June 25, 2016 The computer I ordered arrived at my house on time, was clean, and exactly as described. I'm completely happy with the purchase and would order again! I would recommend this item to a friend! 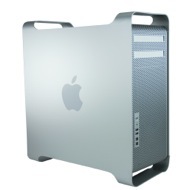 This review is from Apple Mac Pro (2010) 3.46GHz 12-core Xeon X5690 - Used, Good condition. Rating: 5/5 No more spinning pizza of death April 9, 2016 This purchase solved a number of problems at once- I was able to stash all my external hard drives inside the tower, add two USB PCIe cards so that I could get rid of my USB hubs, and I was able to add a third monitor in the form of a Wacom Cintiq tablet monitor. The particular Mac Pro I bought came with 32GB RAM, which I'm happy with, and a 1 TB SSD as a boot drive. The only thing it doesn't do that an iMac does without alterations is sound. iMacs have a surprisingly good internal sound system. A Mac Pro has analog sound in and out, USB in and out, and SPIDF digital in and out, but the internal speaker doesn't amount to much. OTOH, anybody who can justify getting one of these either has enough money to cover a sound system, or plenty of old-but-serviceable audio components to do fine. Oh, and it's real fast. I would recommend this item to a friend! 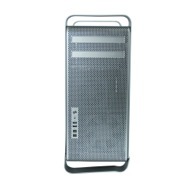 This review is from Apple Mac Pro (2010) 3.33GHz 12-core Xeon X5680 - Used, Good condition.